Fred R. Frommelt served in an Anti-Aircraft Battalion, which was established for the first time during World War I, and died at the age of almost 55. 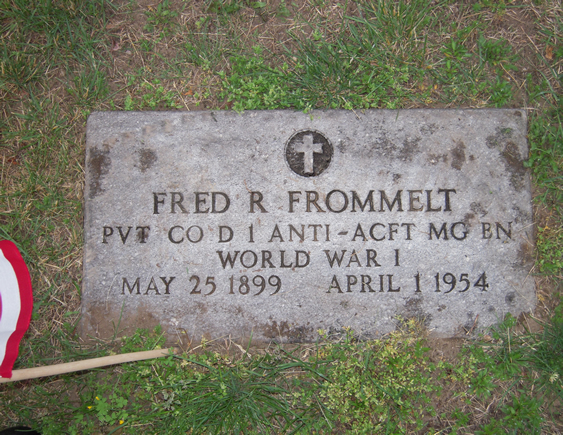 Fred R. Frommelt was not on the Original Honor Roll List which was in the paper in October 1918, but this grave marker confirms his connection to Hackensack by being buried within its borders since passing and forevermore. Your grave marker confirms your service for which we are grateful.